We are very proud of our oral hygiene team. Amanda, Cheryl, Erin, Karen, Kim, and Stacy love getting to know our clients. They take pride in providing gentle, thorough, and personalized care. They have years of experience (each with at least 15 years of cleaning teeth) and are constantly striving to deliver the best in dental cleaning. Any preferences or previous experiences you would like to share with them are welcome, as we are committed to providing exceptional care unique to your oral health needs. 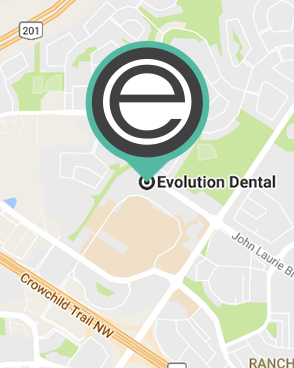 To schedule an appointment at Evolution Dental, please call 403-208-9965. Our office is located in Calgary, and we are pleased to serve patients from Cochrane and other nearby communities. We look forward to seeing you!